Pics: Desire to Inspire and Living, Etc. In love with that first one! First, surface on wheels. Such a good idea. Second, booth and bench dining. FAVOURITE. 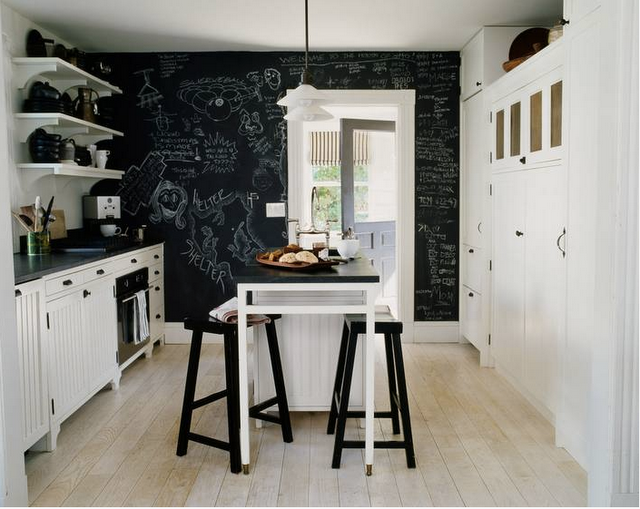 Love the chalkboard wall. Such a great touch, and so easy to do! love them. and sadly all of them are a million times better than my kitchen! LOL! 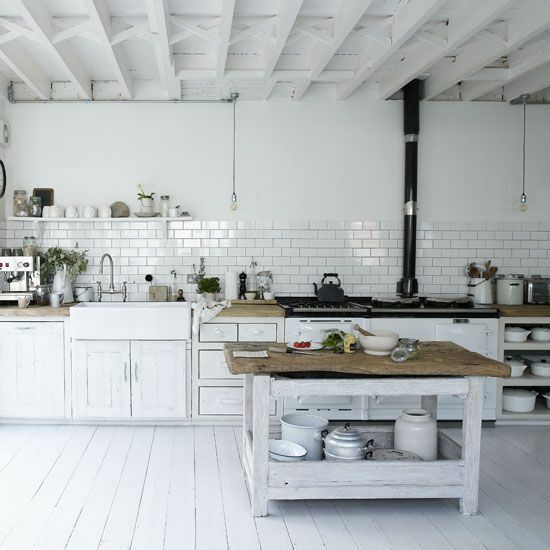 All-white kitchens are so dreamy. I wouldn't be able to have one though. I'll blame it (mostly) on my husband - there always seem to be dirty fingerprints on our cream colored cabinets and coffee on the tile floor, weird random food stains on the lower cabinets. I'm not an obsessive cleaner, but it drives me crazy! Photo credits are provided for all images originating from other sources/sites. If you are the owner of an image that has been used here and would like it to be taken down, please just let me know and it will be removed immediately. If a photo credit has been misspelled or linked incorrectly, please just let me know and I'll change it ASAP!